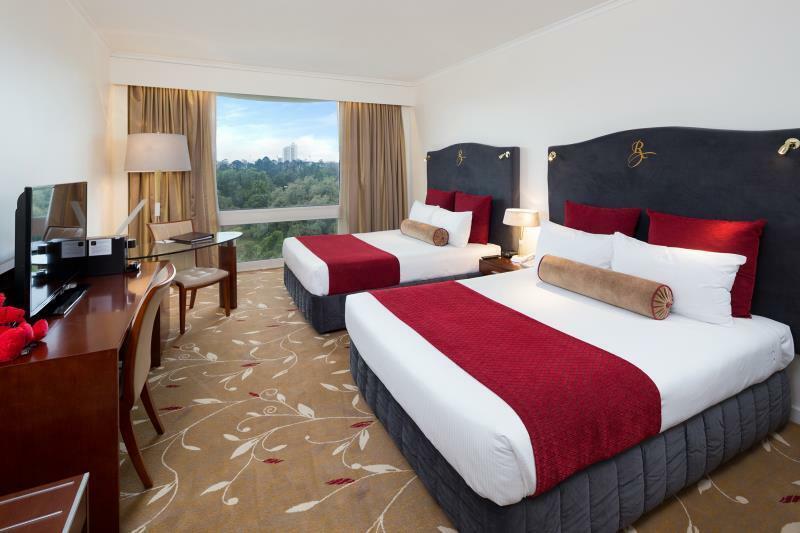 "Had a good stay hotel is close to the garden which is nice"
Have a question for Royal on the Park Hotel? "We stayed here as we have stayed here before and wanted to stay again as it was a great location, and the close location to the city was great." "Staff where great and the room was clean and tidy." "Definitely would recommend this hotel to everyone." "Nonetheless, location is relatively good." 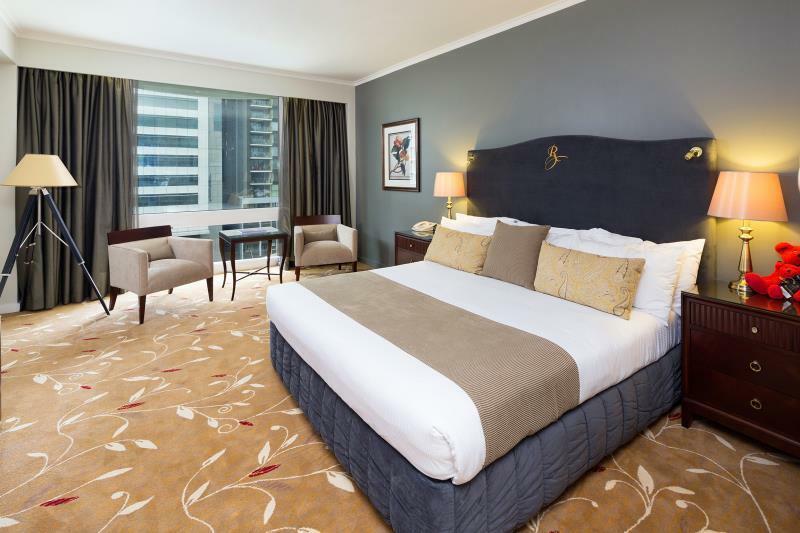 As one of the first hotels to be established in Brisbane, the award-winning Royal on the Park Hotel is renowned for its history, elegance, and professional service. 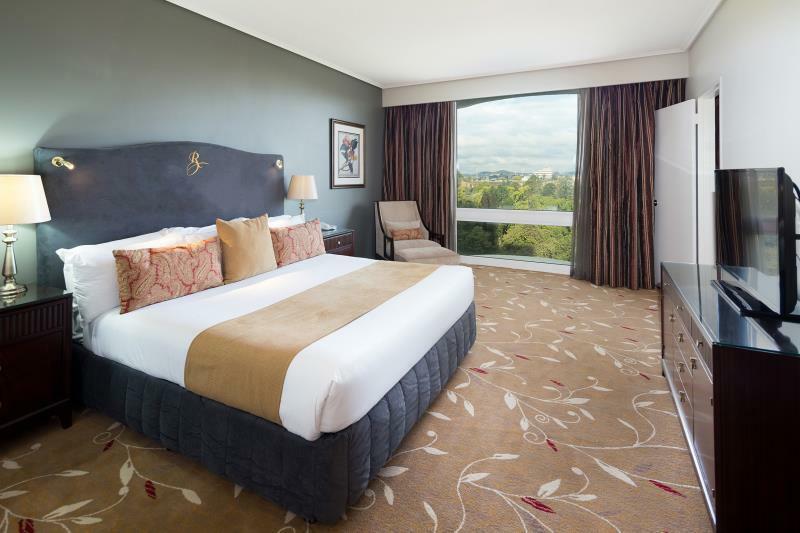 It is well positioned overlooking the Brisbane River and Botanic Gardens and is within easy walking distance to the city center, South Bank, Treasury Casino, and the Riverside Center. Elegantly appointed rooms and suites are complemented by the finest personal luxuries and furnishings to ensure guests a truly unique stay in Brisbane. 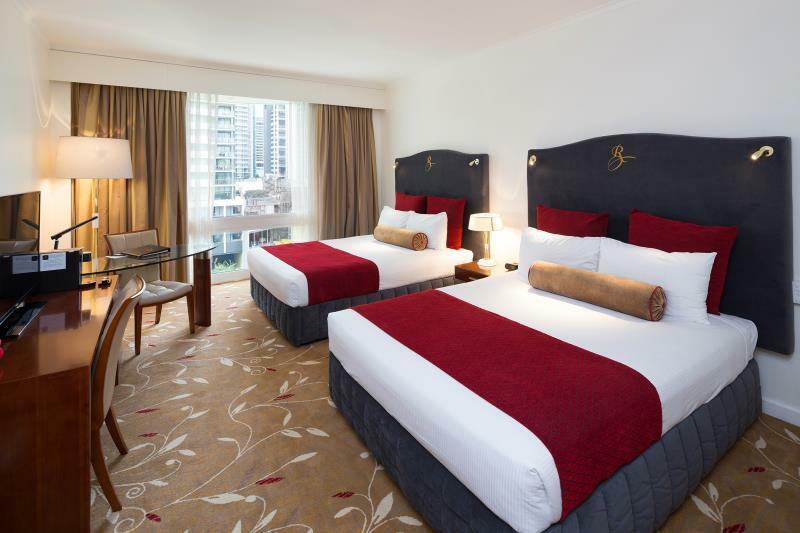 Offering incomparable conference facilities, spacious accommodation, and majestic skyline views, Royal on the Park Hotel epitomizes the very best in 4.5-star accommodations. The Walnut Restaurant also offers Halah food. "Well positioned opposite the park, the Sunday street markets..."
Car parking is available at an additional charge and subject to availability. Guests planning to arrive by car are requested to contact the property in advance. Baby cot is available at an additional charge. The property is undergoing renovation from March 12, 2019 to June 20, 2019. There will be some areas affected by the noise from 09:00 AM to 05:00 PM. For further queries, please contact the property directly. My family and I where going to a 21st of a Friend of the Family and this was in Fortitude Valley. We stayed here as we have stayed here before and wanted to stay again as it was a great location, and the close location to the city was great. There is limited onsite parking but this was handy and didn't cost to much. Staff where great and the room was clean and tidy. Had a room facing the pool and car-park so the view was OK and the room was nice. Would stay here again. The facilities are excellent and the staff could not do more. Love the location across from the botanical gardens. Parking is slightly more expensive than other places at $33 but that is the only criticism I have. With a short walk to Riverstage through the Botanical Gardens, and in the other direction, the Queen St Mall, Royal on the Park Hotel is certainly in the right spot. Fabulous front reception staff provided a friendly and efficient check in/out, including valet parking service. Clean, roomy and very comfortable. Great hotel, tastefully decorated, in a great location. Easy walk to Eagle St. Pier for a nice breakfast in the sun or Bavarian beer. CBD just up the road and a lovely park just across the street. Would stay here again without a doubt. 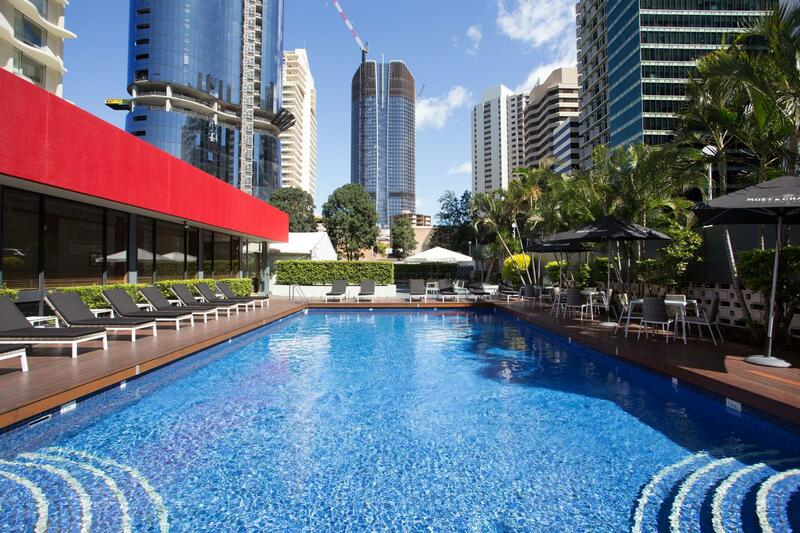 This is a pleasant hotel with great access to the heart of Brisbane and the Botanic Gardens. 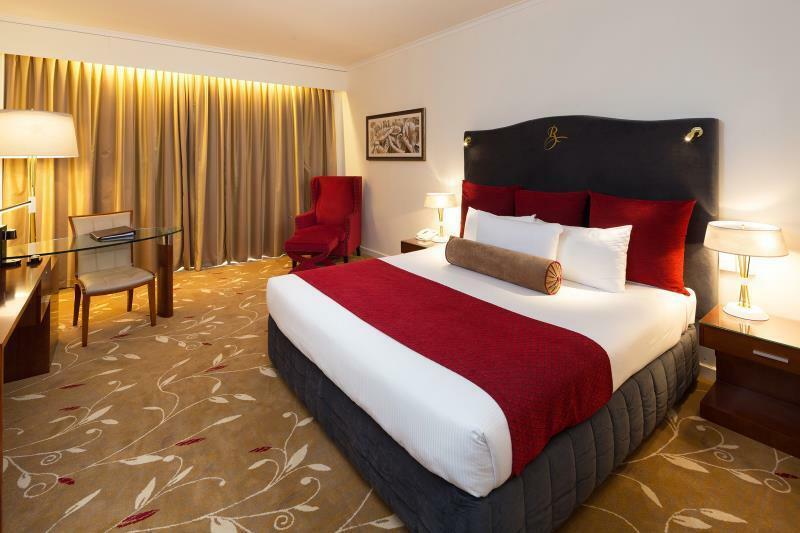 Each room is spacious and well maintained and the hotel has all facilities that you would need for a relaxing city break. I always stay here when i'm in Brisbane because the rooms are big and the bed is very comfortable. Its also very close to everything and across the road from a nice park to take a walk. 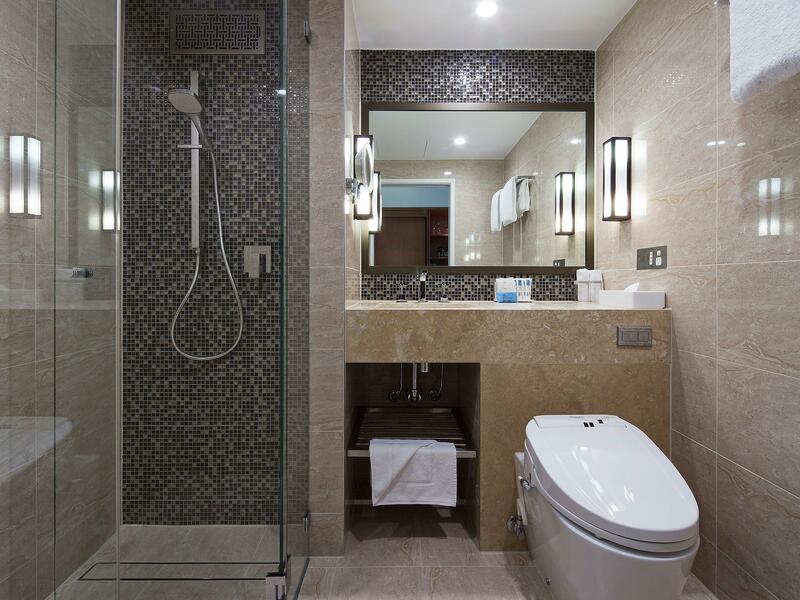 The staff are very friendly and supportive and the hotel is very clean. Royal on the Park Hotel, Brisbane We stayed overnight at the Royal on the Park so that we could attend a wedding nearby. Reception was welcoming and helpful. Our baggage was collected from the car and delivered to our room. The room was large with a great view over the park. All facilities that we could wish for were present including free WiFi. The bed was comfortable and spacious. The hotel’s location near the centre of Brisbane is a plus with the Old Botanic Gardens opposite a relaxing area to walk. We really enjoyed our stay and would recommend this hotel for a long or short stay. Just celebrating 50 years and showing it but I see they are fixing the elevator. Overall a comfortable place to stay in Brisbane..what a wonderful city..so much to do you do not need a car. Train is close by. 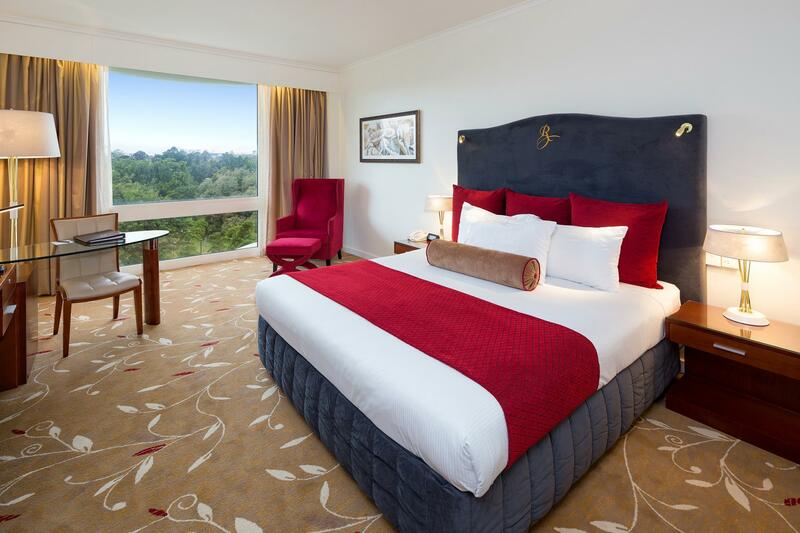 We loved our room which was overlooking the green and open spaces of the Botanical Gardens. We loved the rich "Royal " decor. The onsite Walnut Room restaurant provides elegant dining and excellent food. We celebrated a special anniversary and were delighted to receive a complimentray bottle of bubbly after casually mentioning the occasion at check in. A lovely stay. Great location, clean, friendly staff, the only negative is breakfast is a bit expensive at $35 per adult for a full breakfast. Still had it as I'd just run the Brisbane half marathon, was very nice. Definitely would recommend this hotel to everyone. Pros. Good location, friendly staff Cons. Pricey for what you get, no night service to refresh towels for the morning, had to call housekeeping who then only brought 3 for 4 of us and did not take wet ones away. First time in Brisbane and even though the hotel is quite old fashioned and more suited for the older generation, we loved the location right opposite Botanic Gardens and near the CBD. The staff were so friendly and helpful with tips on where to go and what was going on around town. Generally everyone we saw and spoke too were incredibly friendly and welcoming. We didn't have breakfast included and it was a bit pricey if we had wanted too eat there (especially for 4 of us). We went to the Coffee Club along Albert street which was perfect for breakfast with great choices and 5 minutes from hotel. Love love love everything about Brisbane. Wonderful stay on Floor 8 with views over the park (Botanic Gardens) and the River. Short walk up Albert St to Queen St Mall. Only 15 minutes walk from Central Station after Airtrain from Brisbane Airport. Arrived early - reception staff checked us in; stored our baggage; gave us useful and friendly advice how to fill in time until room ready; and then rang us when room ready. Luggage already in room when we arrived back. Delicious breakfast in Walnut Restaurant next morning. Convenient and timely room service with extensive menu available from Walnut Restaurant. 11am check out was very convenient and unrushed. I rate this favourite accommodation of mine highly. I have stayed at the royals 4 times now, as its location is really great for me. Its a nice old fashioned place, but always reminds m of a motel. Staff are friendly, rooms are OK, facilities are fairly dated, so if you are looking for a 5 star experience, try elsewhere. The staff (reception, cleaners and others) were all very courteous and offered friendly assistance at all times, the room was clean and a good size, the spa and pool were refreshing. The only issue we had was access to the room shower over the bath and getting in and out of the spa without a hand rail, as my wife has limited ability with her hip. Overall, though we really enjoyed our stay and appreciated the break. The location is really handy to the city, gardens and restaurants.